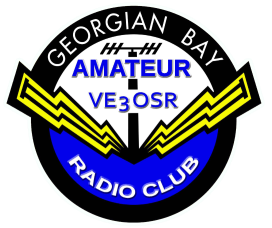 These pages contain the History of the Georgian Bay Amateur Radio Club. Would you like to help? We are always looking for club related pictures, articles by club members, stories etc. In addition you could donate your time to prepare documents to include here. If you are interested use the "Contact US" link. The idea is to make this information available to all, members and non-members alike. The archive pages are not intended to be viewed on handheld devices.